Toduspictus Boddaert, 1783, St. Louis, Senegal. Three subspecies. English: Pygmy/miniature kingfisher; French: Martin-pêcheur pygmée; German: Natalzwergfischer; Spanish: Martin Pigmeo Africano. 5 in (12 cm), 0.3-0.6 oz (9-16 g). Very small rufous kingfisher, with blue on crown, wings and rump, white on throat and ear spot, and lilac sides to face. Bill red, black in juvenile. 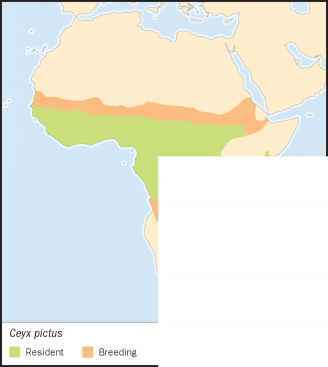 Resident in tropical Africa, expanding to breed in subtropics on either side during respective summers. 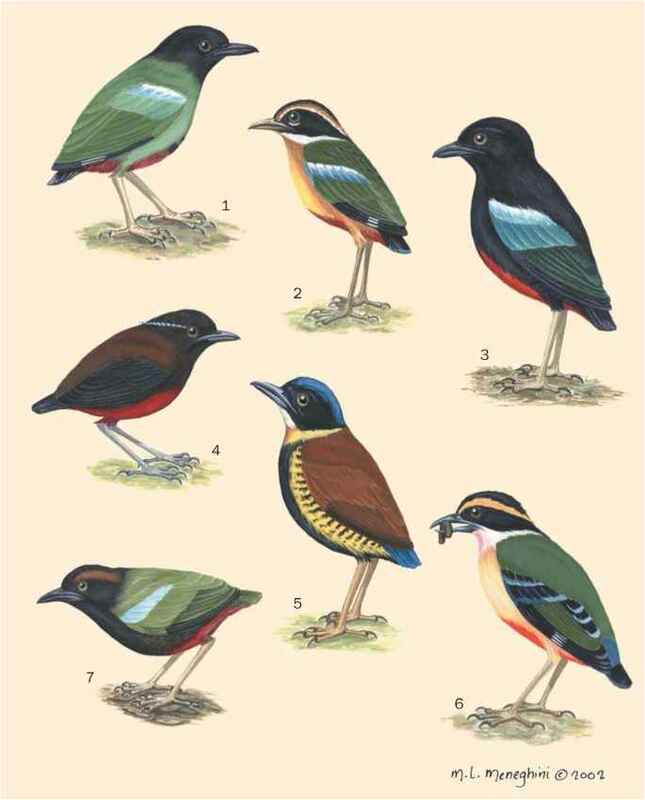 Most widespread small African kingfisher, genus of six other species also widespread across southeastern Asia and New Guinea. Resident in dense forest and woodland, migrating to more open woodland and borders of cultivated areas. pitched song, more often calls single, high, insect-like squeak during rapid flight. Migrates at night. Pounces on prey mainly on ground, also in air or from water. Eats mainly insects, also spiders, myriapods, and even small frogs and lizards. Monogamous pair excavates nest tunnel about 16 in (40 cm) long in earth bank, termitarium or aardvark burrow, sometimes in small colonies but usually spaced within territories. Lay three to six eggs, incubation and nestling periods each 18 days, attended by both parents. Often raise second or third broods during summer breeding season. Not threatened. Widespread and common in most areas of range.